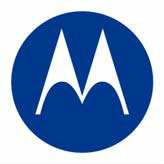 The Motorola AirDefense Enterprise Standard Commissioning has been discontinued. No direct replacement is available. Motorola"s AirDefense Enterprise Standard Commissioning service provides on-site support for the installation and integration of the Motorola AirDefense Enterprise Wireless Intrusion Prevention System (Wireless IPS) appliance and sensors into a customer"s wireless infrastructure. This service delivers a basic deployment of one (1) appliance and the conversion of up to three (3) sensors in a single location with basic functionality, along with one-half (1/2) day of hands-on end-user training.